When it comes to shopping for quality blenders, it pretty much comes down to Blendtec vs. Vitamix. If you decide to buy a blender, there’s no point in settling for a low quality appliance that’s not going to satisfy your blending needs and will probably die on you after only a few short years. This is why Blendtec and Vitamix are your top two options. Both brands produce high-end models that won’t leave you with a chunky, gritty smoothie or malfunction and spray almond milk and kale all over your kitchen. It’s true: a Vitamix or Blendtec blender is more costly than a regular appliance that you would pull off the shelf at a department store. But there’s a reason for the premium price tag. 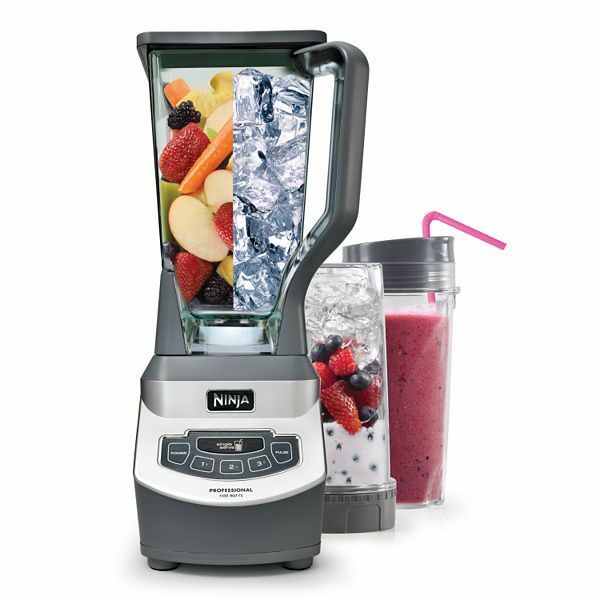 These blenders will out-perform any run-of-the-mill smoothie maker, and the difference you’ll pay in price will be made up with a workhorse that will provide thousands of uses without losing effectiveness or wearing out. They also prove to be better kitchen aides in general, serving as food processors, grinders, and mixers. You can buy these blenders and help clear some of the clutter out of your kitchen, because these models have attachments that can chop produce to specified sizes, grind flour, mix batters, make juices, ice cream, and more, all faster than your typical appliance. If price is your major sticking point, don’t worry– you can buy a refurbished Vitamix or Blendtec and save around a hundred dollars, or much more depending on which model you’re interested in. They have a long life span– as much as ten to fifteen years when used properly– so the up-front investment will pay off when you don’t have to stress yourself out finding another blender when the generic brand blender blades become dull or the motor breaks after only a year or two. They also come with long warranties for further ease of mind. Purchasing either of these blenders comes with a seven-year warranty, and you can get an extended warranties for both brands for a modest additional cost. When it finally comes down to choosing between Vitamix or Blendtec, it comes down to the small things. Blendtec blenders are more compact and primarily use automated cycles to blend or mix food. They are more travel and dishwasher friendly. Vitamix models usually have more power, and they have a greater range of settings to use, which allows for more manual control over the thickness or consistency of your food. Blender Babes offers the Web’s most comprehensive review of Vitamix vs Blendtec. Save and order a certified refurbished Vitamix or Blendtec blender from Blender Babes, or find easy and healthy recipes.